The locos of class Ge 4/4 I were renewed totally from 1986 to 1993. They got new engineer cabs, a new electrical equipment and a new painting scheme. The class Ge 4/4 II is the universal loco of the RhB. 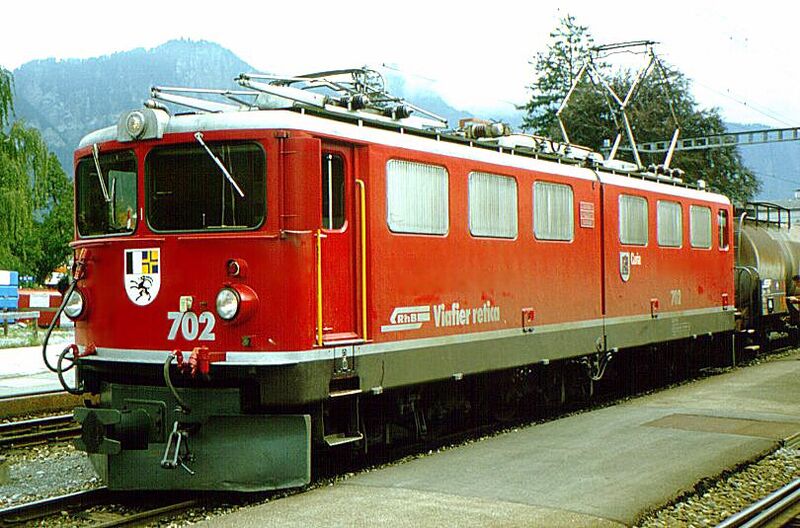 They are used for passenger and freight trains. 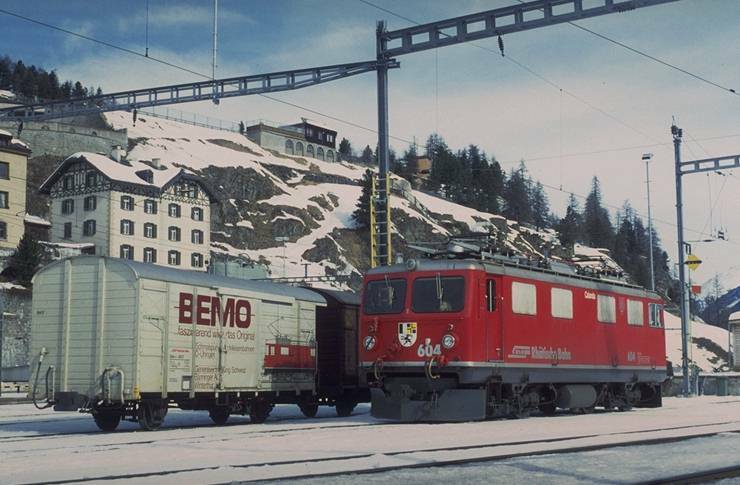 Class Ge 4/4 III locos were delivered in 1993. They consist of high tech and represent the modern way of construction locos. 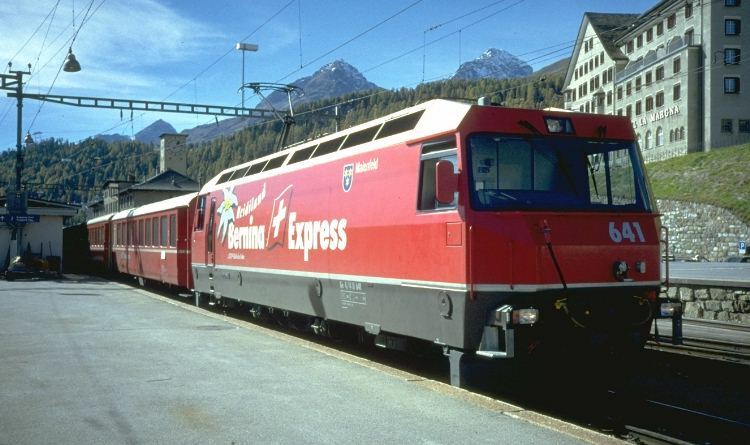 The 641 wears an advertising livery for the "Heidiland Bernina-Express". 701 and 702 are the prototypes of the Ge 6/6 II class. They got new engineer cabs in the beginning of the 90s. 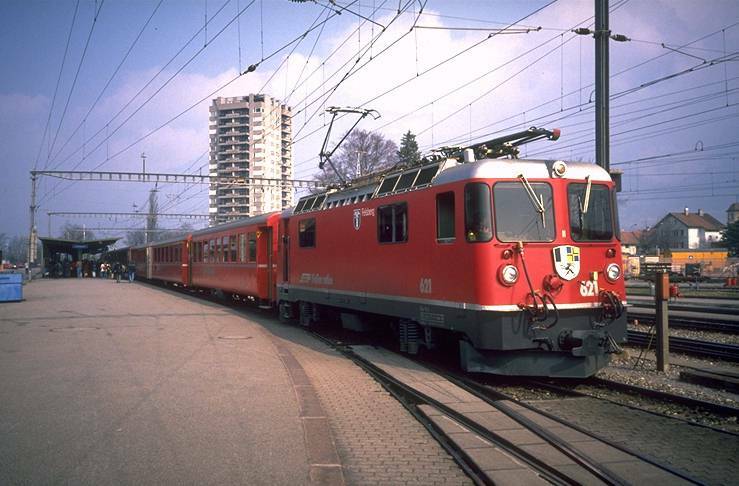 These railcars are formerly known as "Flying Rhaetian". 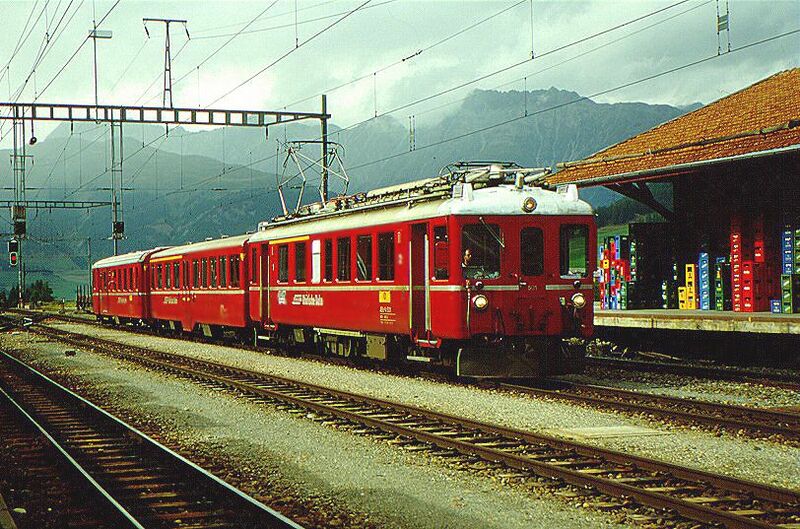 In the 40-50s they have done the passenger service between Chur and St. Moritz. Today only No. 501 is in service.